. يقدم Alpine Motel خدمات لا غبار عليها وكل أشكال اللياقة وحسن الضيافة اللازمة لإسعاد ضيوفه. يقدم هذا الفندق العديد من الخدمات الكفيلة بإرضاء أكثر الضيوف تطلباً. تتضمن كل غرف النزلاء وسائل الراحة والتسلية المصممة خصيصاً لضمان الراحة القصوى للضيوف. يمكنك طلب اللائحة الكاملة للخدمات في الفندق ومن بينها مسار جولف - ضمن 3 كم, ملعب للأطفال, حديقة. مهما كانت أسبابك لزيارة واناكا، فإن Alpine Motel هو الخيار الأفضل لإقامة مثيرة وممتعة. It was great help to us that we were allowed early checkin. In general staff was very helpful and responsive - thank you! We liked our studio room. The bathroom was very spacious, well equipped kitchen, comfortable beds. Short walk to the lake. My major surprise that there are no mesh on windows. Owners are not happy when guests kill bugs and moth on the walls and they provide anti-fly spray. But it would solve this issue if there were mesh on windows. Derek was very friendly. The rules were logical and easy to keep to (just basic courtesy actually). What stood out was its proximity to the city centre. We could walk there for our meals n to the lakefront for a morning jog. Really loved the place! 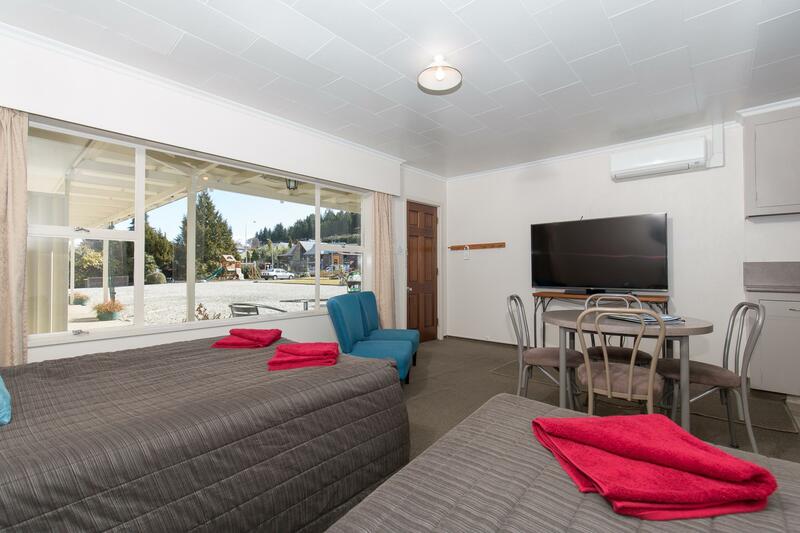 Friendly staff, motel is close to the town center and the lake. On the negative side: Appartment is small and dark. Everywhere are signs telling you what is forbidden and what the fine is. This must be what prison feels like. Becareful if stay in this Motel. 1. Number Member visitor MUST be not over as specific on website. 2. Motel will charge 50$ if no clean kitchen 3. Need to take photo or inform receptionist immediately if found any damage even if it’s a little bit. Receptionist is friendly with small dog. Laundry area will open 1 - 8 pm. Please read Sign on door. Location is a bit far from Lake and shopping area. Owner was very friendly and generous with advice on how to enjoy Wanaka. He also provided us with dining vouchers to improve our stay. Room was very spacious and comfortable. Good quality furniture. Would stay here again in the future. A strategic location, near to town center. From the moment we checked in, we love this place even though it was for a night's stay. The staff was very friendly, quickly settle us in, 11 of us in 2 units. We utilize the bbq set provided. Lake Wanaka is just down the road. Wifi strength is very good. Very convenient as we could park our car in front of our door. 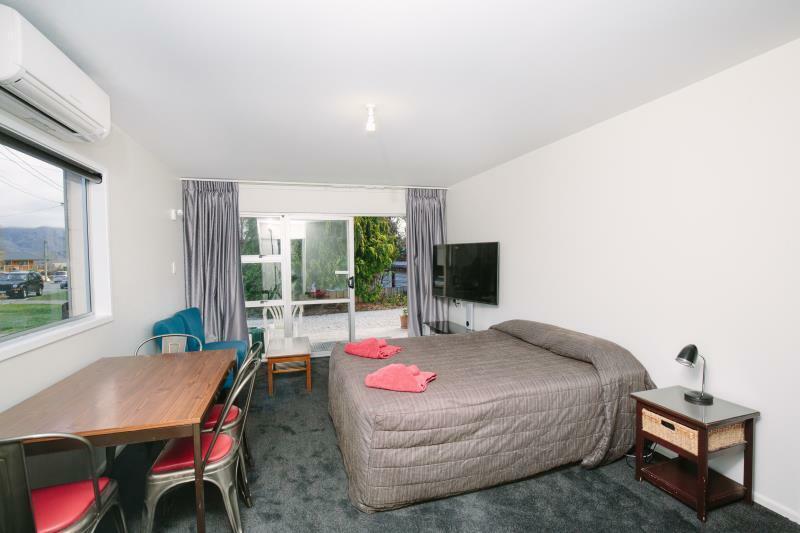 Big room with kitchen, good reception, good location in wanaka. A few flies and small insects in the kitchen and toilet area during the stay. First and foremost the staff and owners were very friendly, the accommodation very clean (we even got up graded to something much bigger) and although a little noisy because it was at the junction of a roundabout it was very central..
Good Position, very kind and available staff (they give me many informations about my stay and some hikes). 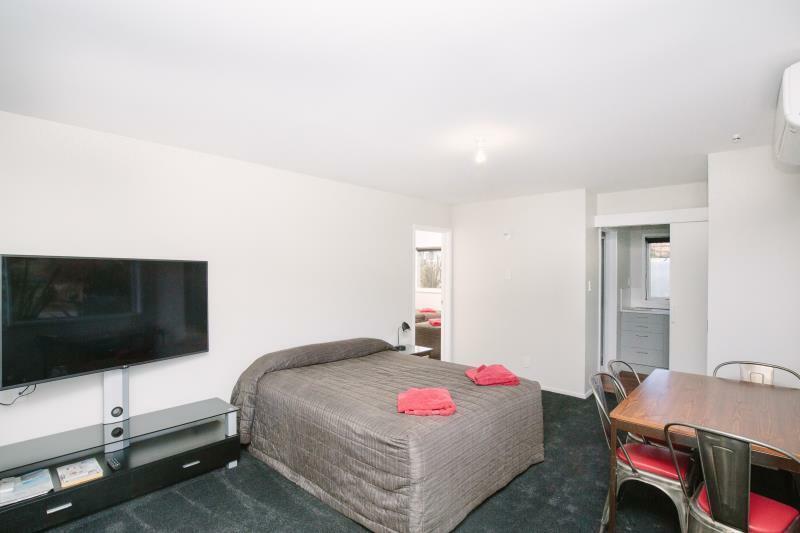 Room was big, clean, with everything you could need! Car Park in front of my room door. Highly reccomended! It one of the best places we stayed in New Zealand. 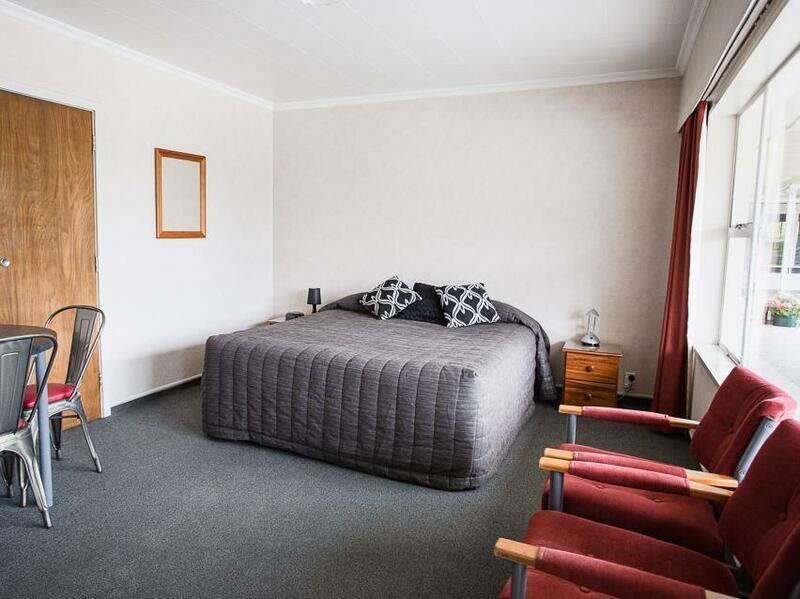 Close to Wanaka town and a few attractions. Room is clean and nice (we also got a free upgrade! ), with very good facilities, not to mention the free welcoming gift. They can help you book activities as well. Overall it’s much beyond our expectations. This motel was perfect. I stayed three nights and wished I had stayed longer. Side note-if you've never been to Wanaka, it deserves much more than the one night most people book. The town is great, there is a beautiful lake only a five minutes walk from the motel and amazing hiking nearby. Derek and his partner went above and beyond to make sure that I had everything I needed. I was given a lot of information on things to do in the area and was even offered a ride to one of the hiking paths. The room itself had everything I needed, including a kitchen with all needed utensils and cookware, great wifi connection and a giant tv which tempted me to stay in the room all day. If I didn't love Wanaka so much, it may have worked. I would definitely recommend this place to anyone visiting Wanaka. Thank-you for your wonderful review Christina! We totally agree - you must spend more than one day in Wanaka. We pride ourselves on our local knowledge & want our guests to have the best time while they are here. 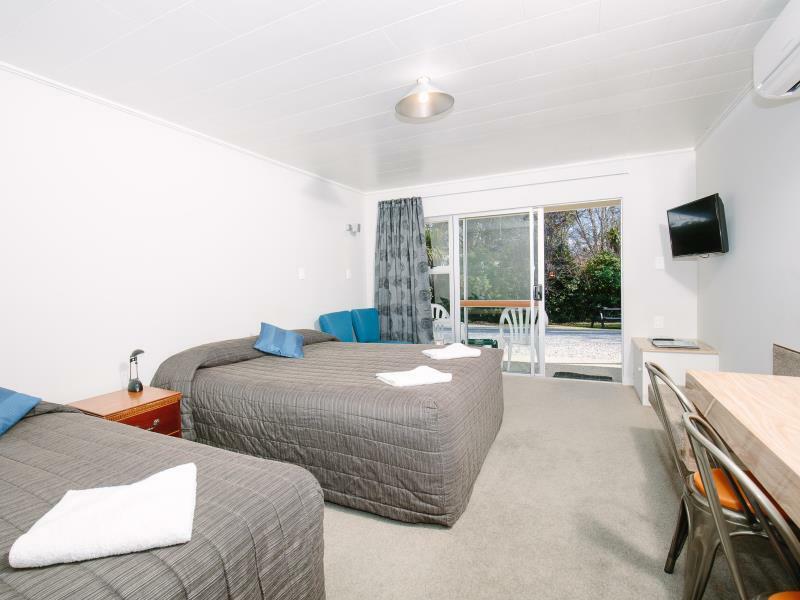 We also like our guests to be able to relax when they have had their adventures for the day with our range of free sky channels & 5G Free Wifi. Hopefully we will see you again soon Christina! 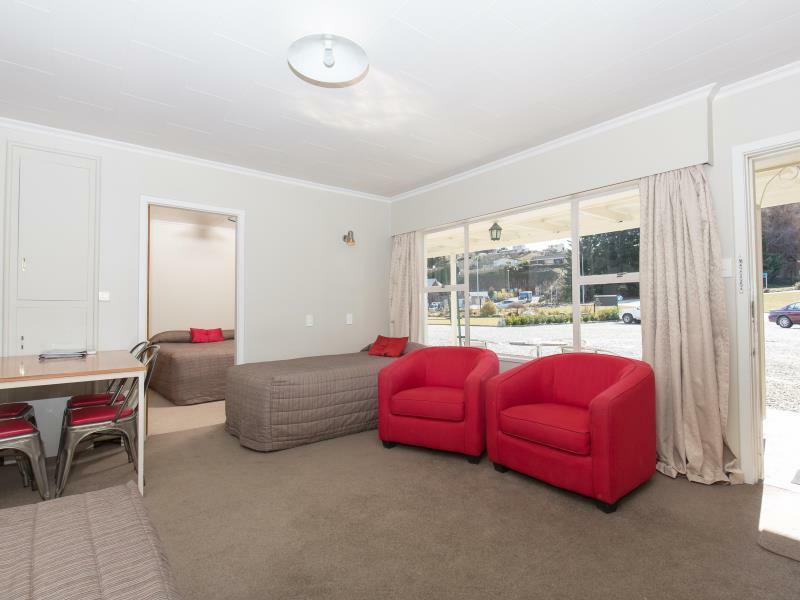 Clean, friendly staff and prime location for the town. Was made to feel very welcomed and the amenities are great. Room was spacious, clean, well set out and we felt safe and secure the whole time. 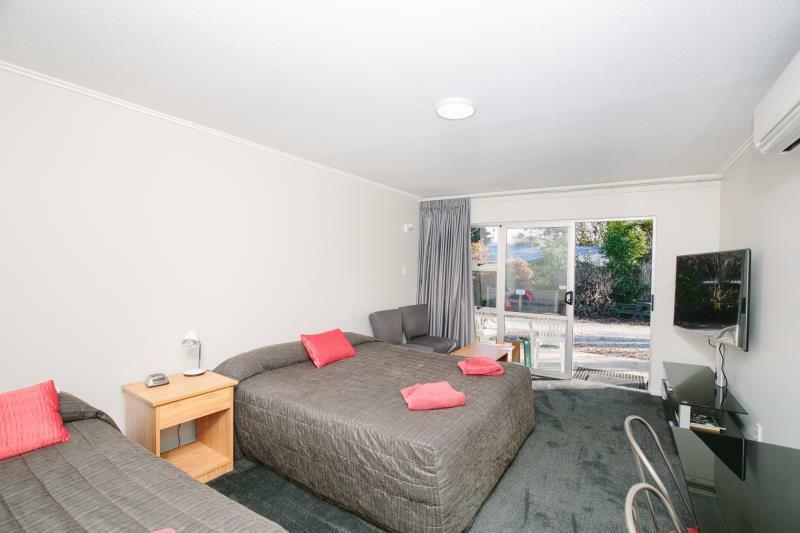 Highly recommended for a stay in Wanaka. Lovely stay. Close to town centre. Beds very comfortable and nothing was too much trouble for the staff. If you are after 5 stars this is not for you. 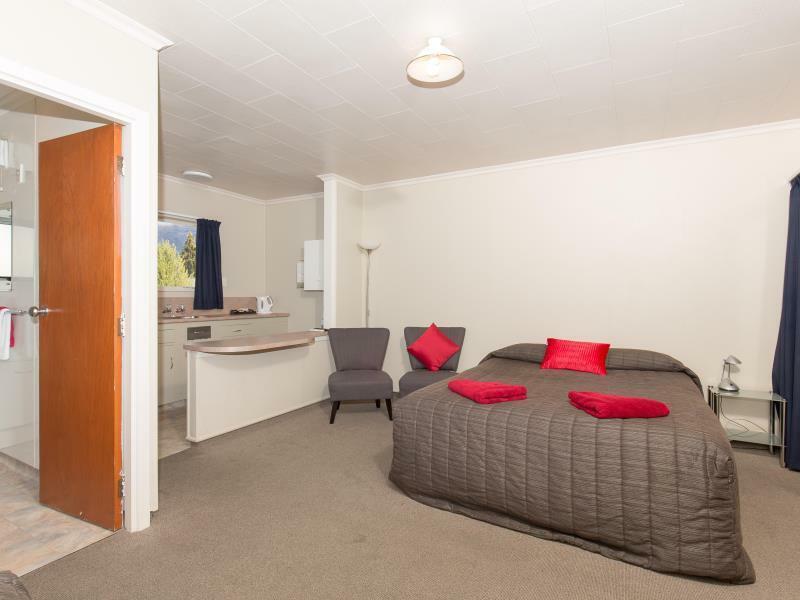 If you are chasing a value for money, clean and free WiFi motel then this is the place. Highly recommended. 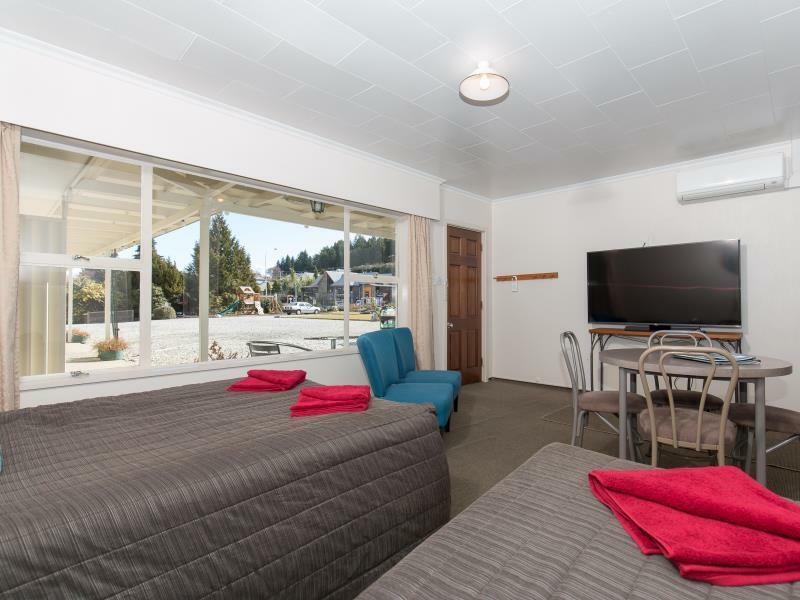 Great stay at the Alpine Motel - I was really impressed with the standard of this motel given the very reasonable price. We received a warm welcome and the room was great - lots of space. Sky TV and kitchen facilities!